Sewanhaka High School students in the Students and Teachers Against Cancer Club had a November full of giving back. STAC’s food drive was a great success, with 23 turkeys and 25 boxes full of canned or boxed goods donated to St. Vincent de Paul Outreach. In addition, in preparation for the holiday season, STAC members assembled and sold ornaments for the annual Giving Tree. The group raised $200, which was donated to the Make-A-Wish Foundation. 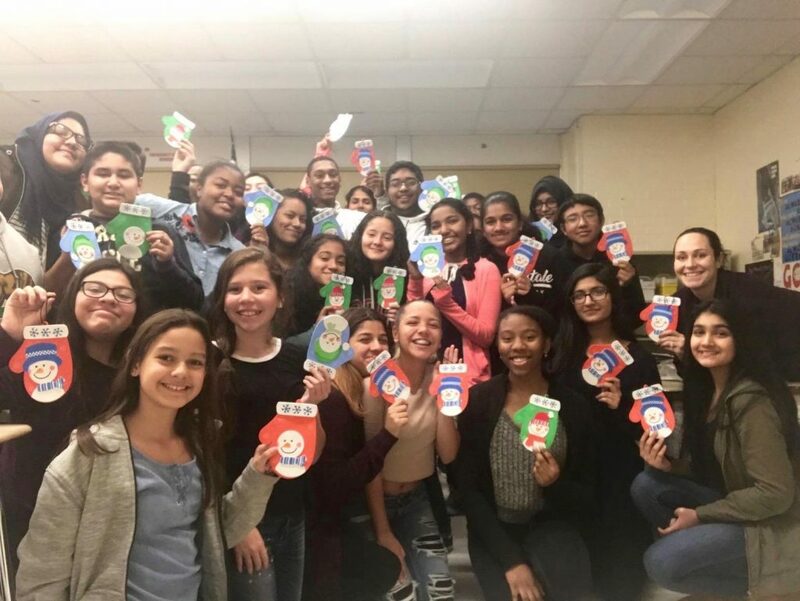 Photo Caption: Members of Sewanhaka High School’s Students and Teachers Against Cancer Club are pictured with the ornaments they sold to benefit the Make-A-Wish Foundation.